It’s easy to agree to a timeshare when you’re in the vacation state of mind. Resorts approach you while you are enjoying the clear waters of a relaxing beach, or escaping to the views of a mountain-side. The often impulsive decision to buy a timeshare brings the guarantee of a vacation destination, but also carries a few drawbacks. One of the key drawbacks of buying a timeshare is the difficulty in selling it, which has led to the proliferation of timeshare resale scams. It’s always best to trust your instincts on this—if it sounds too good to be true, it probably is. It may seem convenient that a timeshare reseller has reached out to you out of the blue, but it should also alarm you. Where did the reseller get your information from? How does this “company” know where your timeshare is located? If the person or company who has contacted you is not affiliated with the timeshare property, you should be on alert. This is where timeshare scammers make their profit. If a timeshare reseller requests a large upfront fee with the promise of a lined-up buyer, it is almost certainly a scam. Upfront fee requests range from “transfer fees”, “permit fees”, and “local taxes”—especially in foreign jurisdictions such as Mexico, where the perpetrators of fraud hope to take advantage of the owners’ lack of knowledge or familiarity with such foreign jurisdiction. Legitimate real estate brokers do not request payment until after the property is sold. Do not make the mistake of sending money to a company before you have actually completed the sale of your timeshare. You do not want to send off a large amount of money and end up with no buyer. If you have neither physically met with the supposed timeshare broker nor been given a physical office address, it is best not to do business with that company. No matter what timeline the broker gives to you, it is in your best interest to conduct a thorough internet search to ensure its legitimacy. Review the Better Business Bureau website (www.bbb.org) to see if any complaints have been made against the company. Contact your timeshare property management and ask if it has heard of the company. Do not fall into the trap of “acting fast” and failing to protect your timeshare and funds. Before sending funds to a supposed timeshare broker or signing any documents, be sure to contact an attorney experienced in real estate transactions. 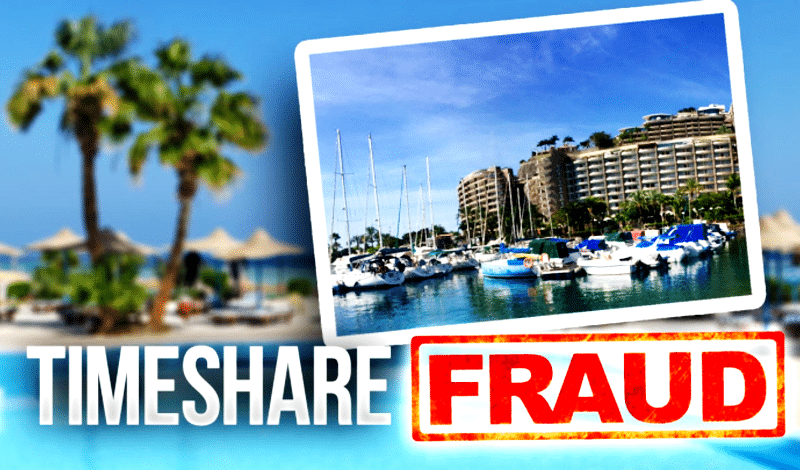 Many timeshare owners have found themselves in a position where the buyers were in fact fraudulent, and lost significant sums of money because they waited too long to contact an attorney. The team at Padua Law Firm can perform the due diligence required to determine whether the transaction is a scam, and protect your timeshare and money.